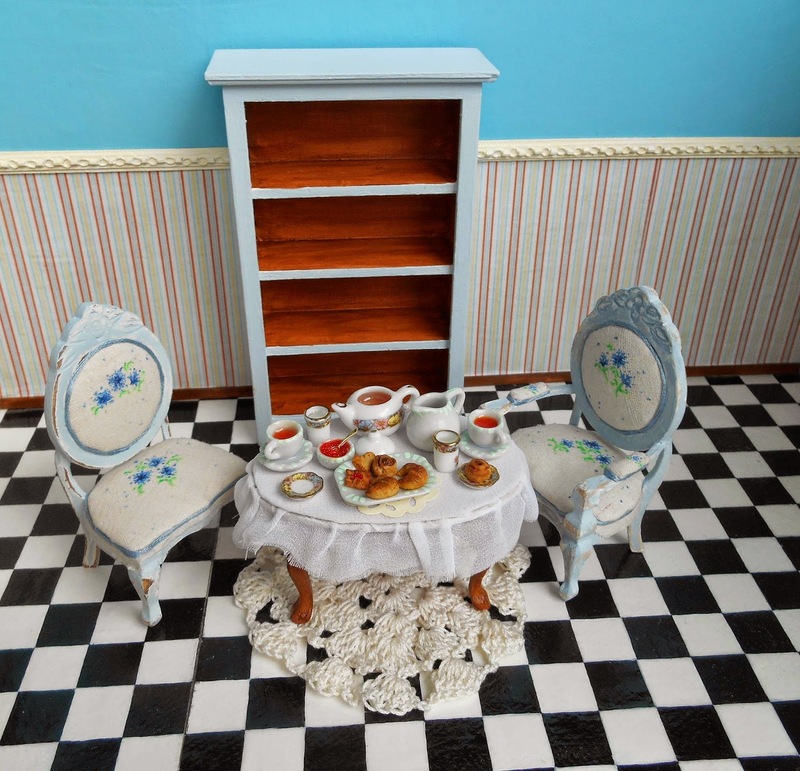 I'd like to share with you my latest restoration project called "Lady Victoria's tea room". Victoria was my grandma's fav aunt, so the chosen name is in her honor. It all started with a bunch of mini furniture that I have to restore, I took one table that had been around for months, 2 chairs that I wasn't happy with plus this shelf that I didn't know what to do with and voila! I had a nice matching set! lol, it's so true that people who have a mess on their tables are creative! The table and shelf add contrast with the oak wood tone, otherwise it was too pale. What I did next was doing a fake table, yeaa as you read it ;). I didn't wat to ruin the table by gluing the tablecloth so I found a way to fake it and it looks good I believe!. 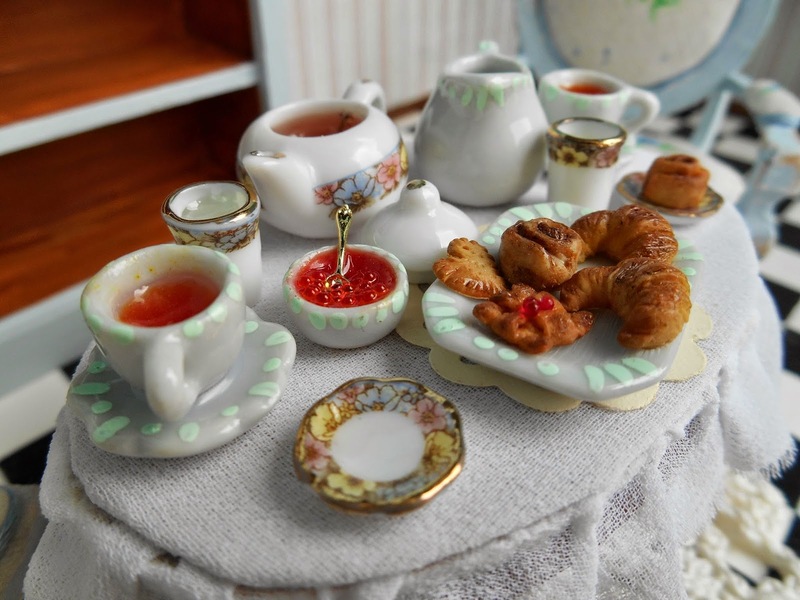 The tea set was carefully chosen, I started with the plate of pastries that I had and added all the little pieces. It's tea for 2, you have tea cups, glassed of water, a water jug, a teapot, some cherry jam and its tiny spoon, plates to put your pastry. 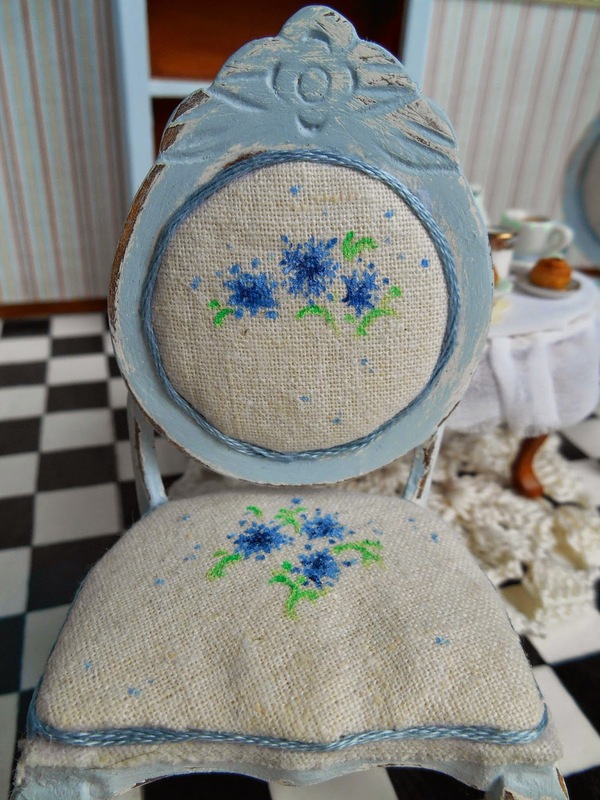 I forgot to add that, I did all the uphosltery of the chairs and hand painted the cornflowers. It's a unique piece, I'm not doing a second one. 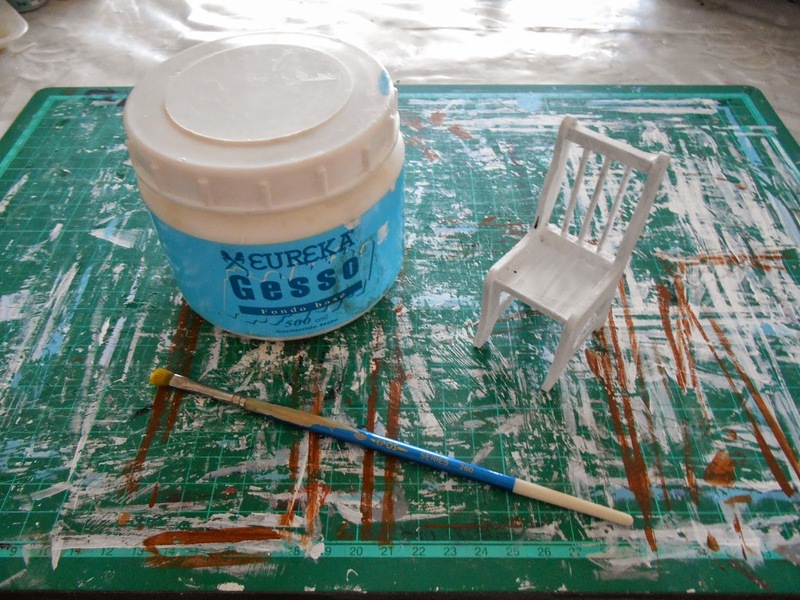 Today I'm going to show you how to decorate the shabby chic chair we did yesterday (look at part 1: how to paint a shabby chic chair). For the decoration I did 2 cute simple cushions and a little tiny pompon. Very simple and romantic. 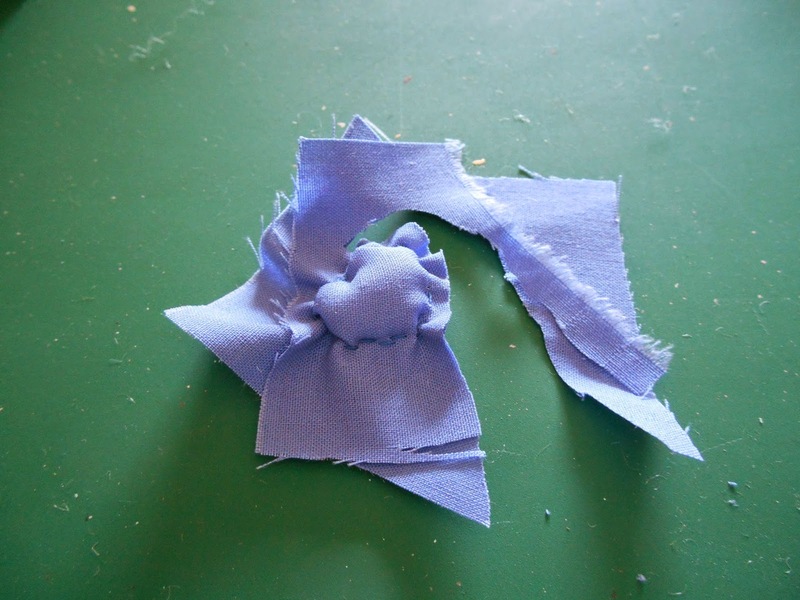 Now take the fabric of your choice and put the paper shape on top to cut. You need 2 pieces. 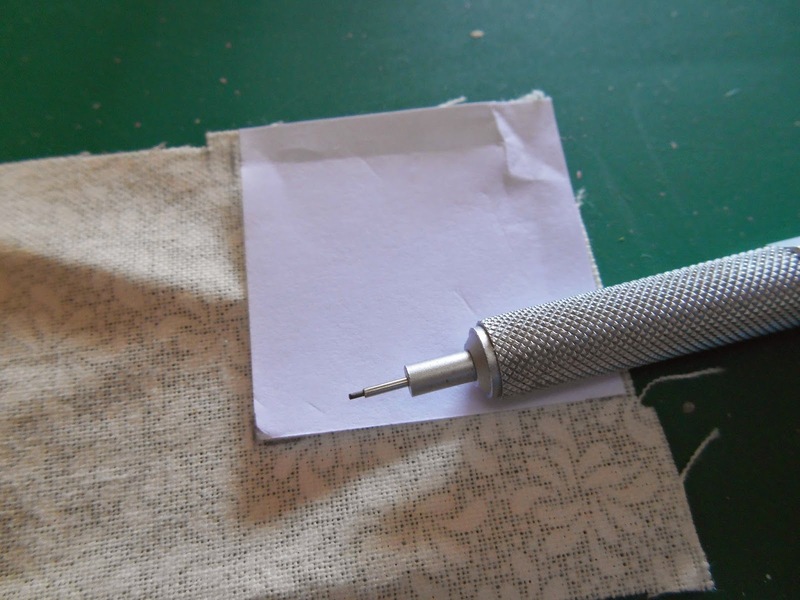 If you've chosen a fabric with a patter as I did, place the patter side in. 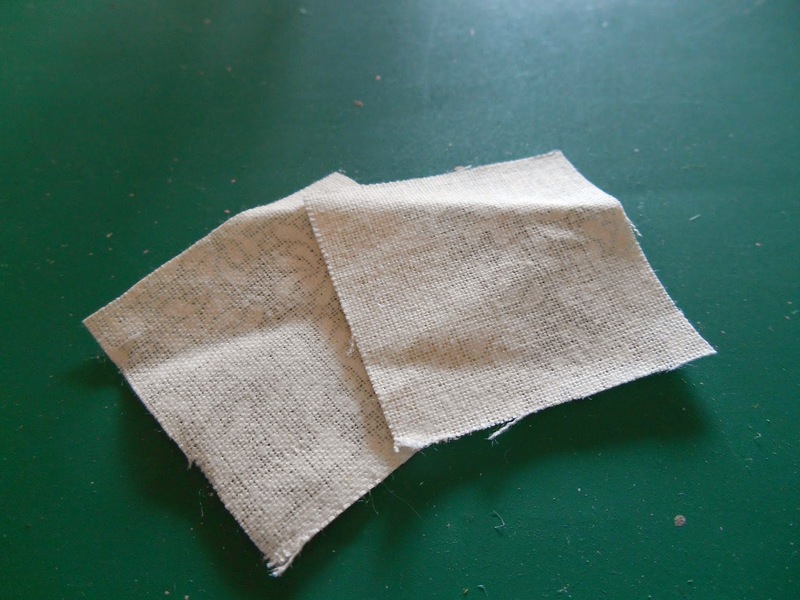 And now we're going to sew as shown in the picture, not too tight. Leave one side open. 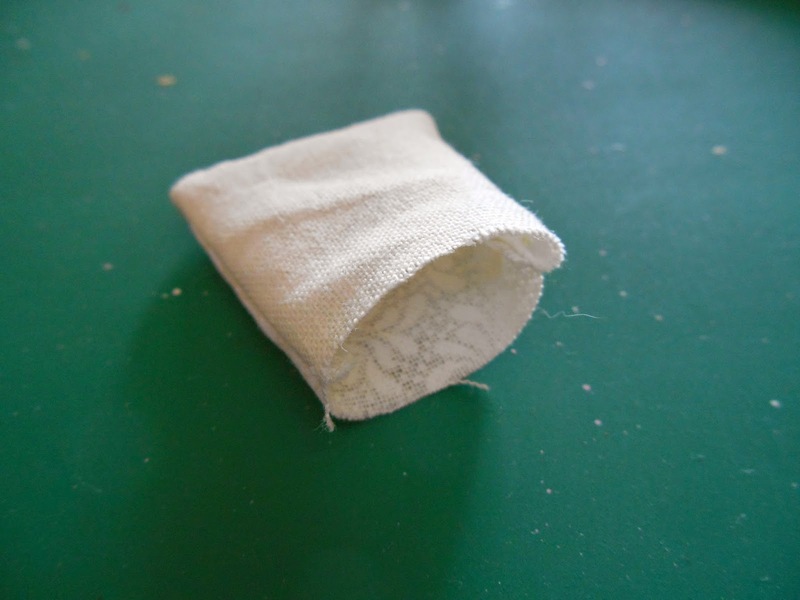 The stitches are going to be into the cushion, put some filling into. 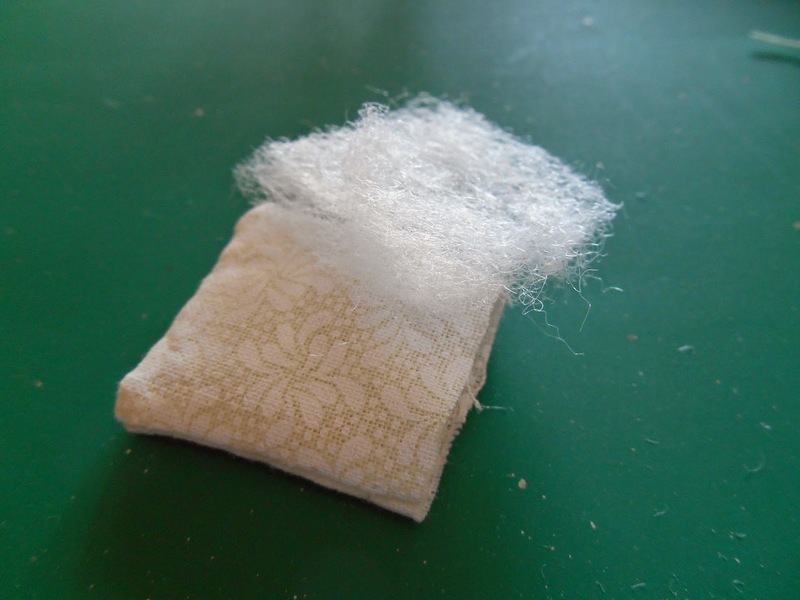 Once you filled it, put the edge of the open side inwards as I'm showing you in the picture. 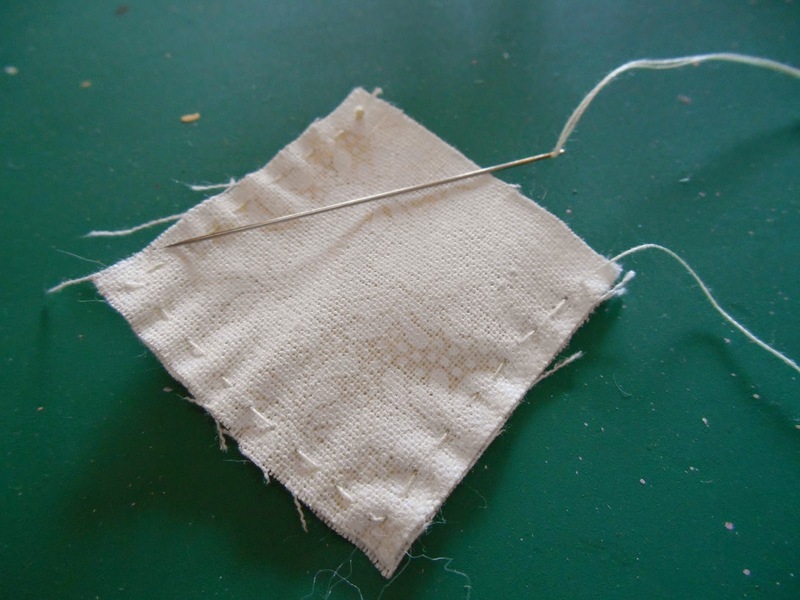 Sew the edges together, take your time so that it looks similar the the other 3 sides. The first cushion is ready! Draw a heart in a piece of paper and cut. 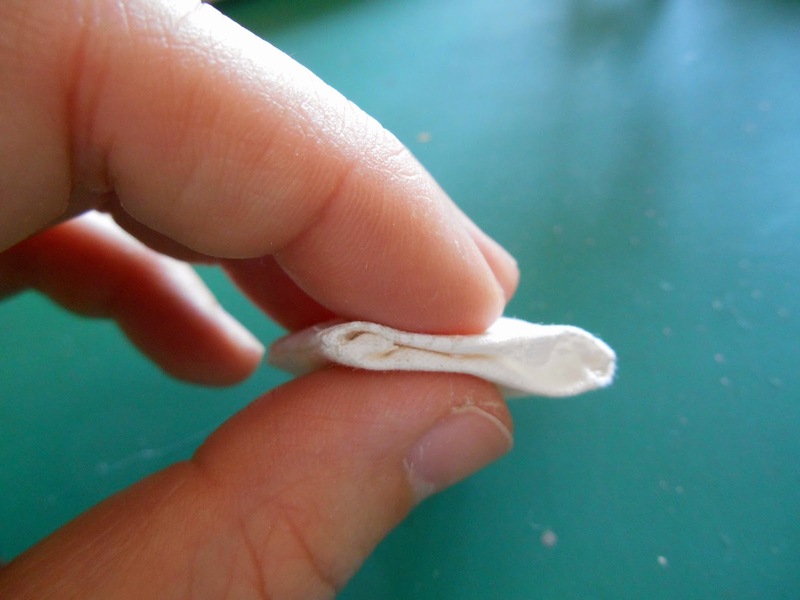 Take some filling and do a "fabric sandwich" as shown in the pic, put a pin to hold it in place. 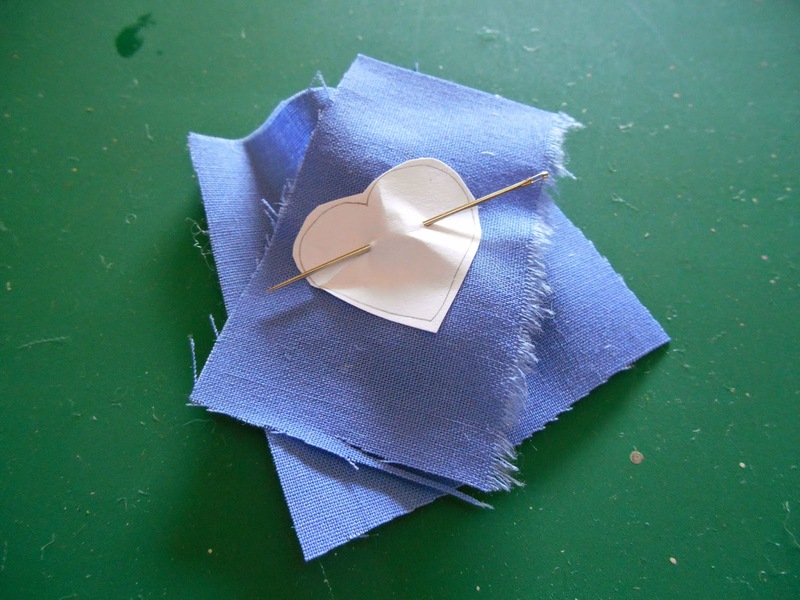 The stitches have to be close to the heart, you follow the shape as a guide. You may have to push a few times the filling into the cushion. 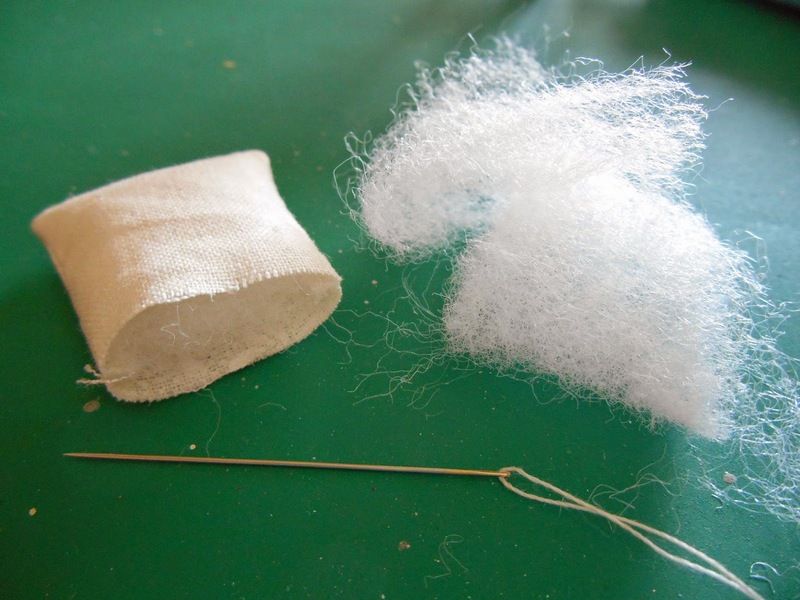 Pull the thread gently and continue adding stitches to give your heart pillow a "fluffy" look. Pay special attention to the lowest part of the heart, you want it to look like one. 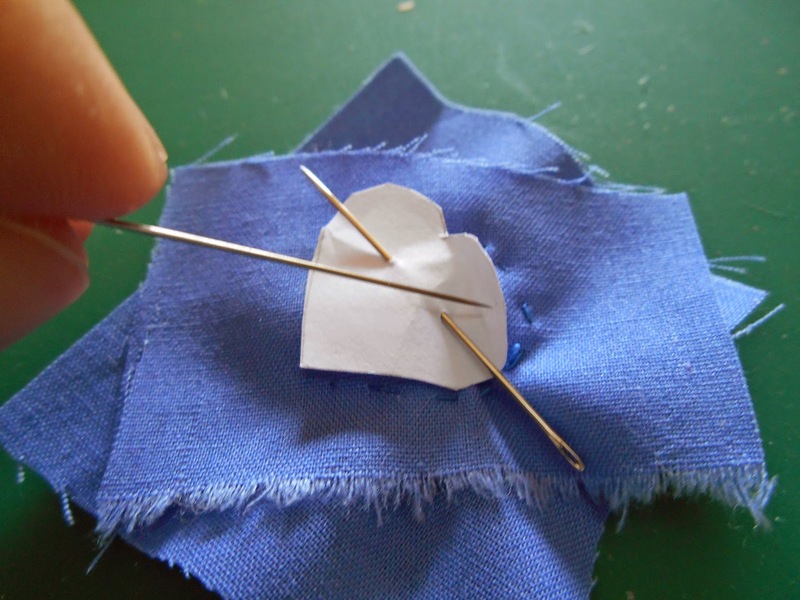 Now bring the scissors and cut fabric around the heart, don't go too close! 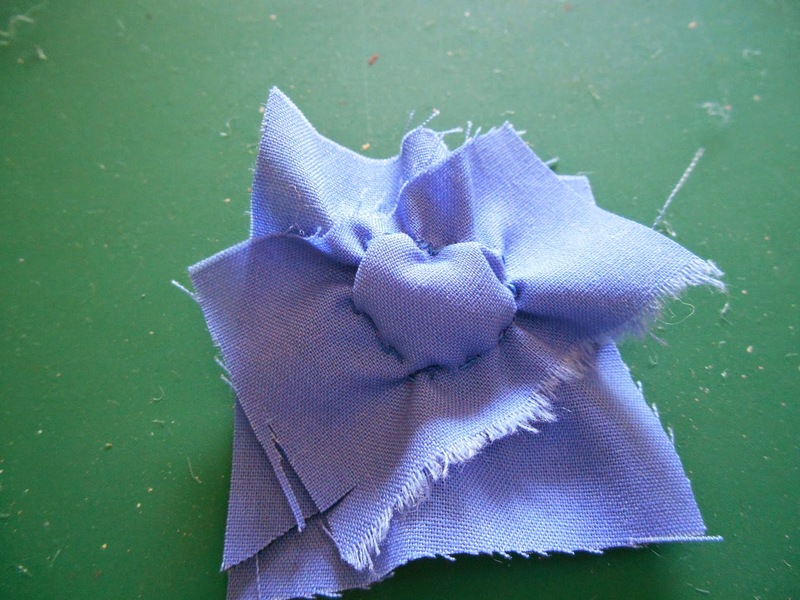 leave a nice ruffle. And you're done! 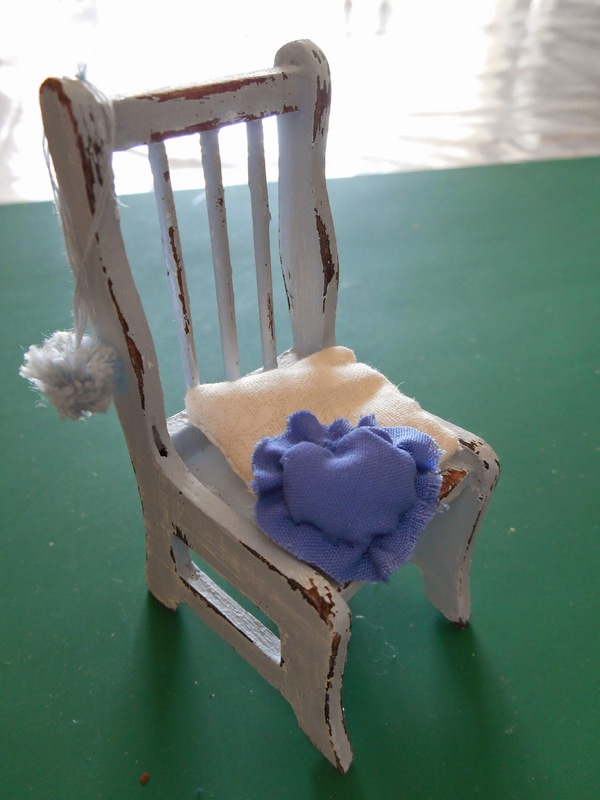 2 little cushions to decorate chairs, sofas ... and your shabby project of course ♥. 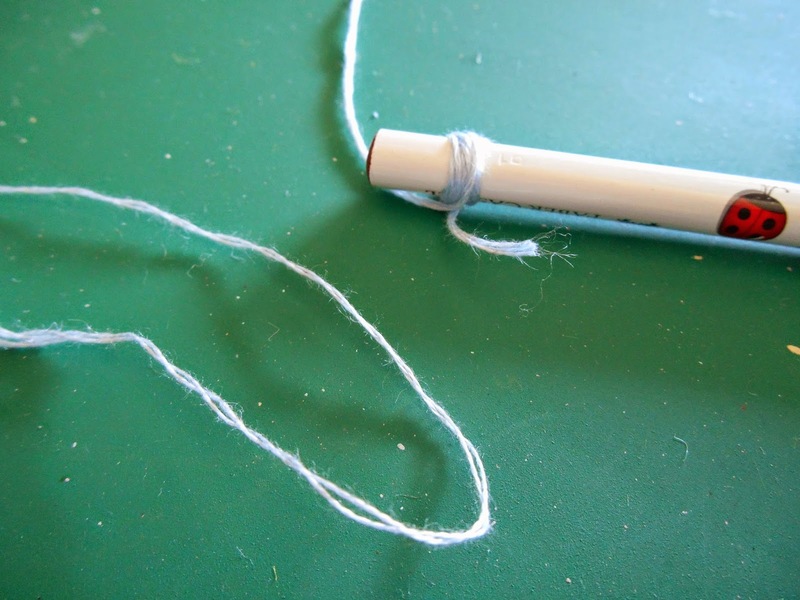 Take your pencil and wrap the embroidery thread 6 or 7 times. 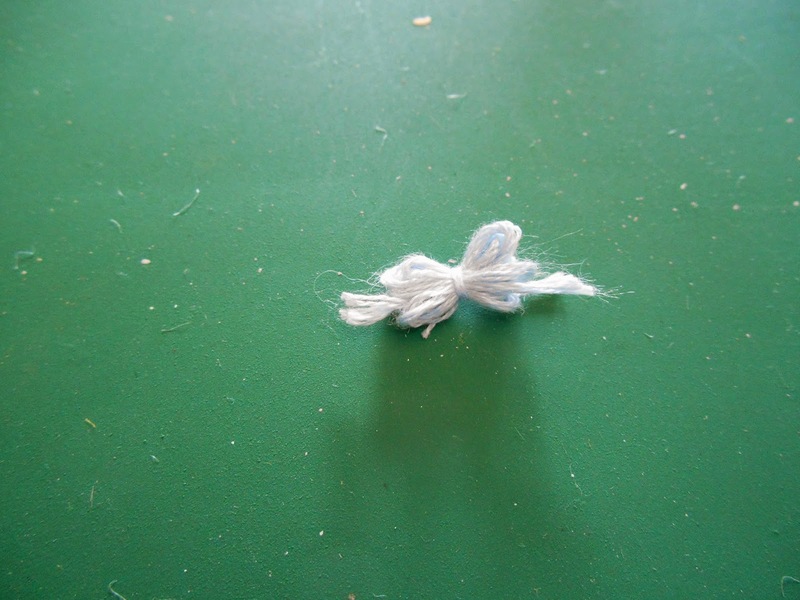 Take 2 threads to tie the wrap. It has to look like a sort of ribbon, tie it tight!! 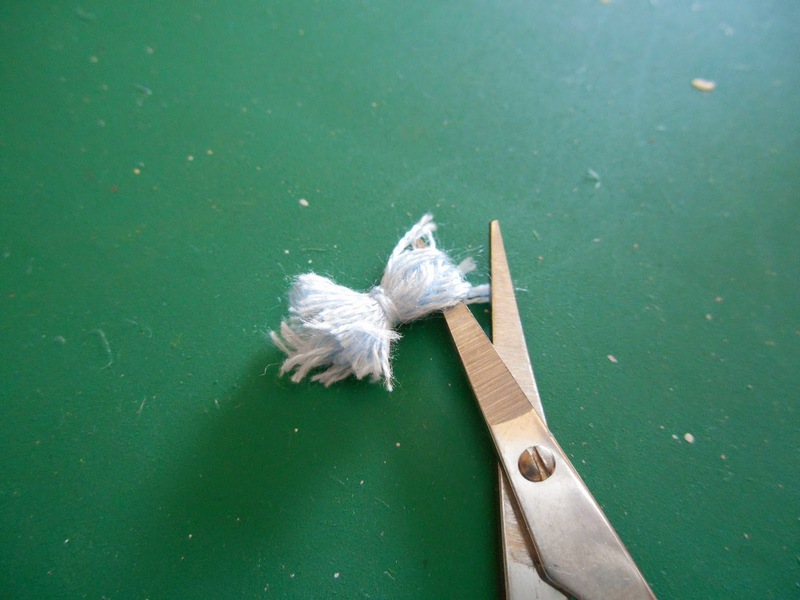 With the small scissors, cut the sides and shape it. 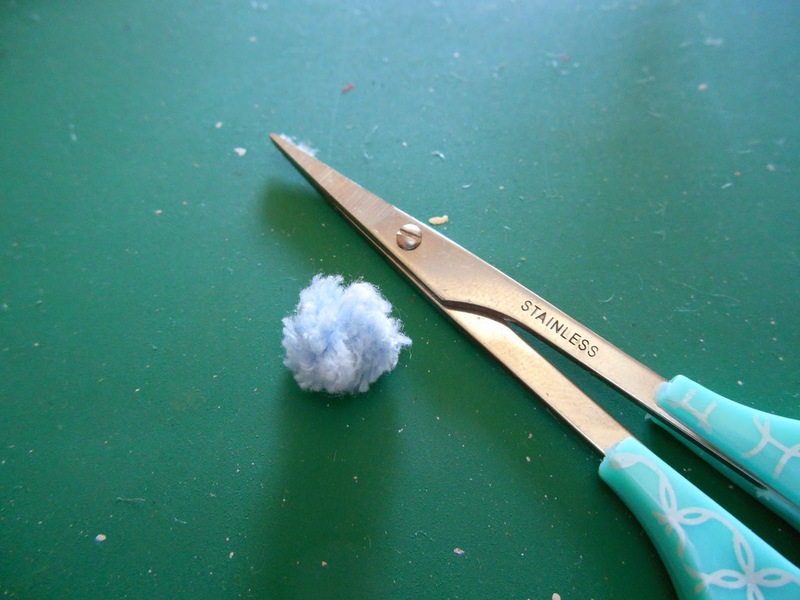 You may have to do a "hair cut" to the pompon to give the rounded shape. Put it in your hands and form a ball, the middle has to be hidden. 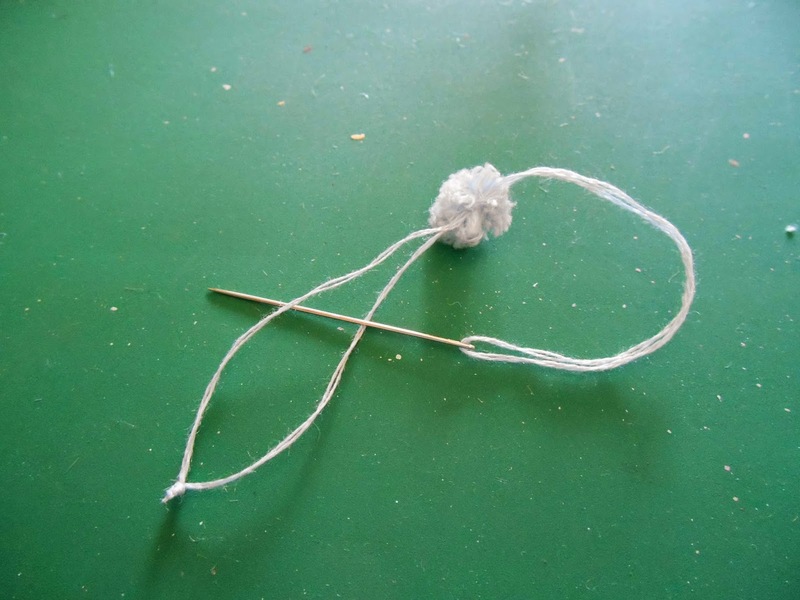 Now pass the 2 threads with the help of a needle through the middle of the tiny pompon as shown. Cut and tie a knot. 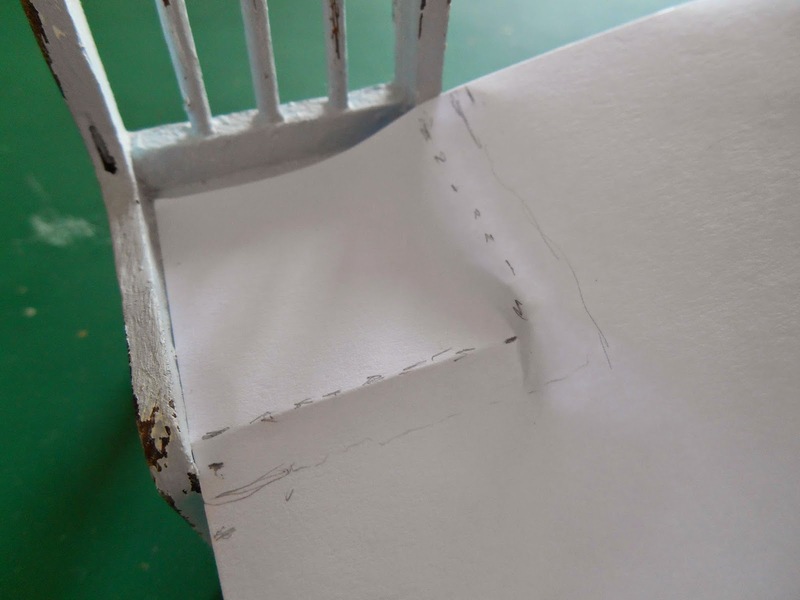 Hope you have fun making cushions, and that this tutorial helps you. Thank you very much for your lovely comments! I read each one of them! 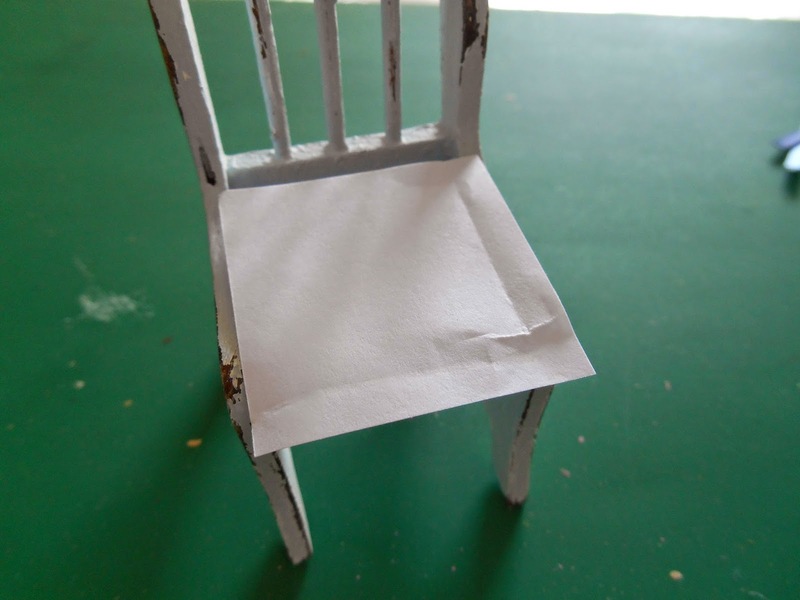 I promised you yesterday a tutorial and here it is; in this opportunity I'm going to teach you how to decorate a chair in shabby chic style. 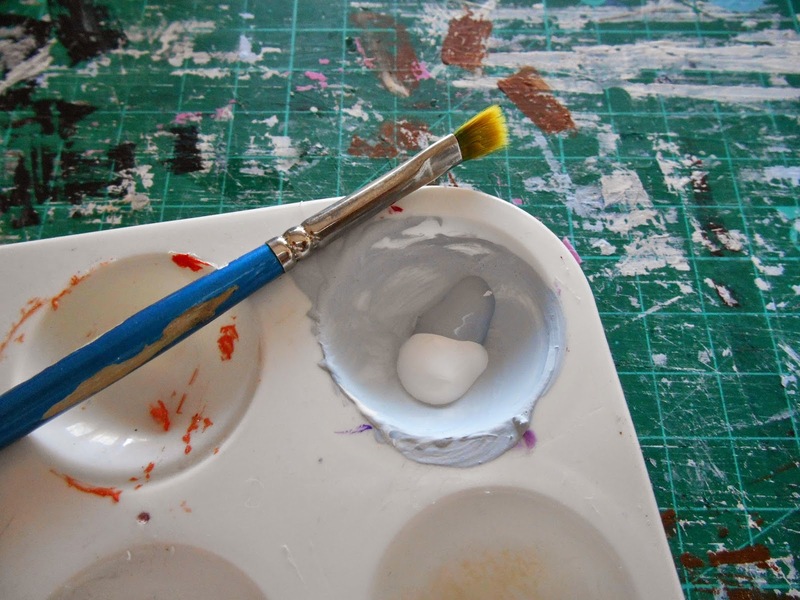 It's easy to do and I'm showing you how to do it with 2 colors, being white one of them. If you happen to have mini pieces and you dislike the fake mahogany look, you can use this dark color in your favor, my chair the one i'm using to show you the tutorial had this color. Shabby chic is a form of interior design where furniture and furnishings are either chosen for their appearance of age and signs of wear and tear or where new items are distressed to achieve the appearance of an antique. At the same time, a soft, opulent, yet cottage-style decor, often with an affected feel is emphasized to differentiate it from genuine period decor. 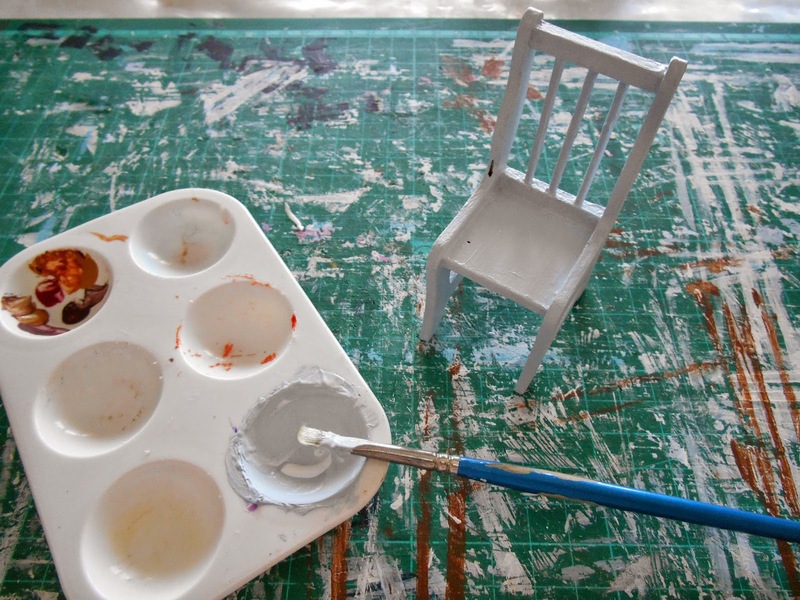 The style is imitated in faux painting using glaze or by painting then rubbing and sanding away the top coat to show the wood or base coats, known as "distressing" the finish of the furniture. Furniture pieces that are not genuine antiques are usually selected for their resemblance to older furniture styles, and may be reproduction furniture with a distressed finish. **If you're out of paint don't worry! 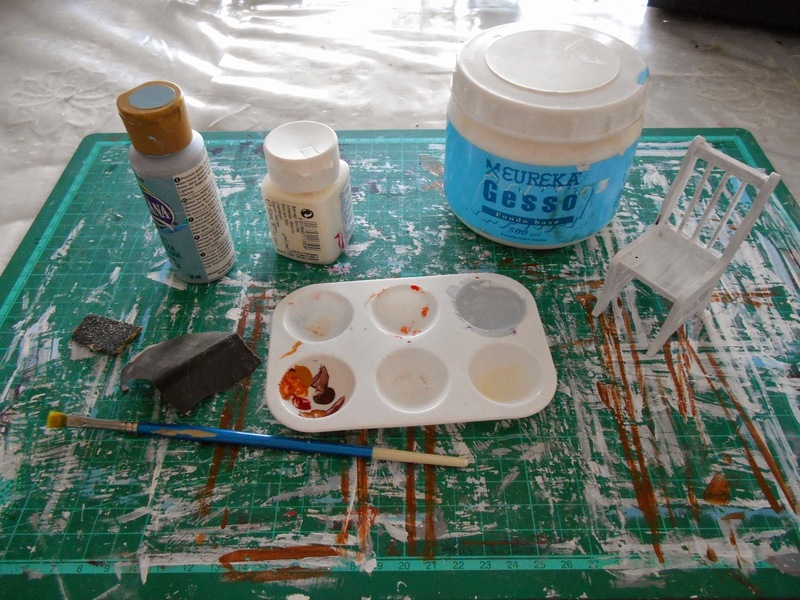 just mix a bit more in 1:1 proportion and if it's not exactly the same shade never mind, it helps in the shabby look. Once the paint is dry, grab your sand paper (if it's medium grain and one more, the better) and sand the outer areas/parts that get more scratched. Think of your chairs, the areas that are more in contact with you get more aged, scratched. So the inside is going to be almost brand new. **Tip: when you sand, do it in different areas, this gives more realism. 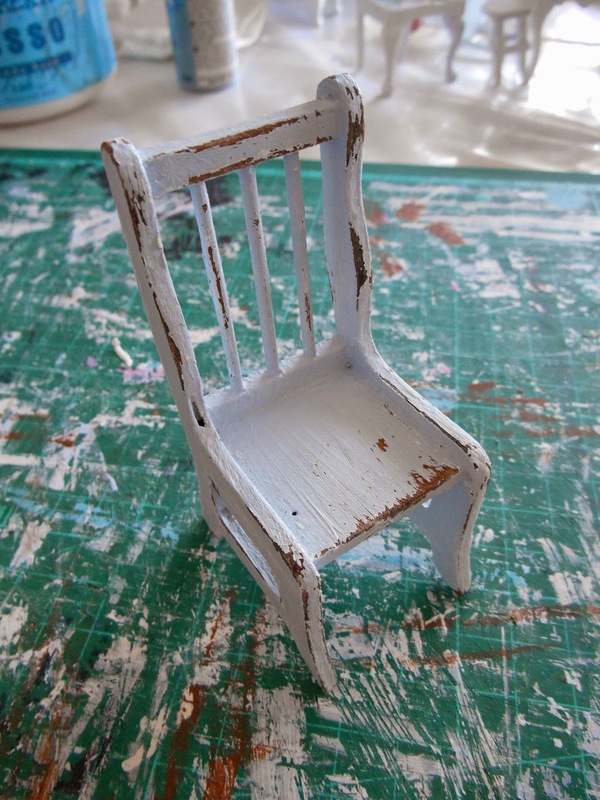 A very cute shabby chic chair! ready to decorate your kitchen or parlour! Part 2 of the tutorial is going to be up tomorrow afternoon hopefully; I'm going to teach you how to sew simple pillows and do little details for your shabby chic piece. Thank you very much for following me, your comments, suggestions are welcome. Fell free to leave your question if you happen to have one! I'm going to upload a new tutorial tomorrow -I have to finish taking some more pics-. 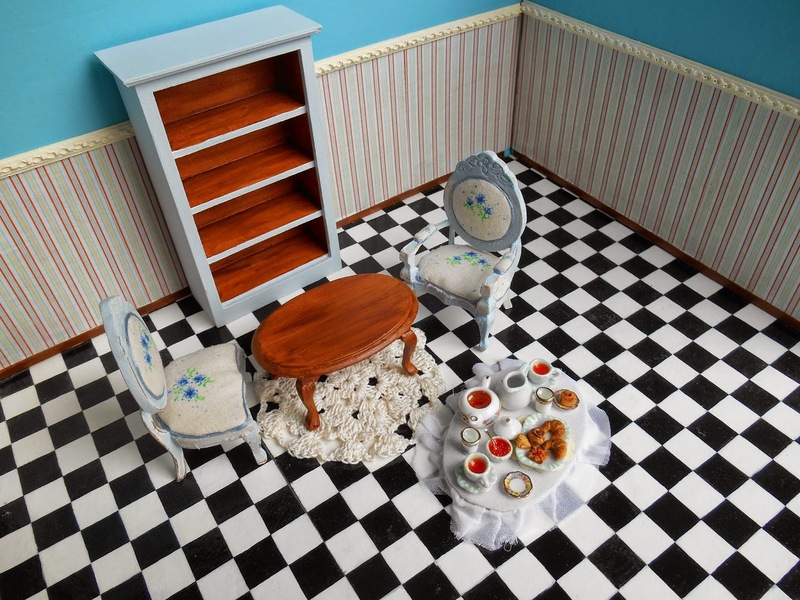 This time it's going to be something different, not food but restoration of miniature furniture. 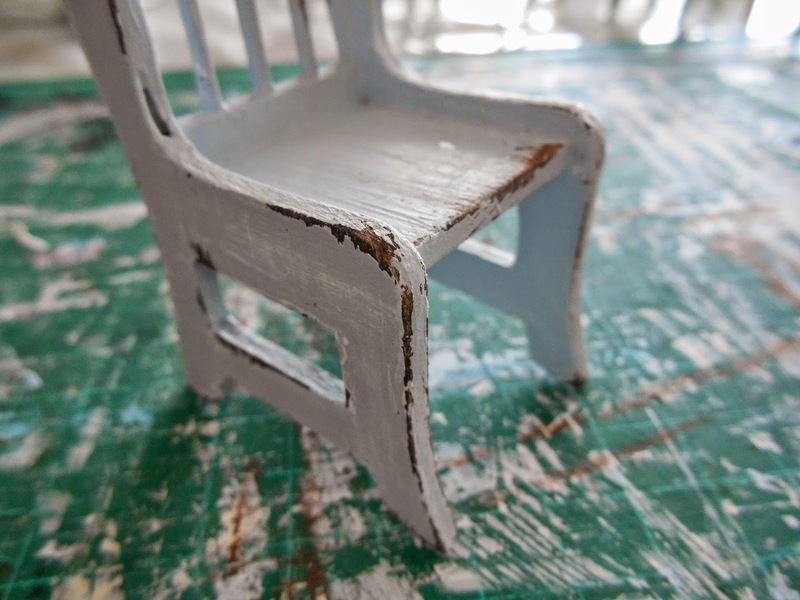 I'm going to teach you how to do restoration of miniature furniture, from sealing it to adding detail to make it special!